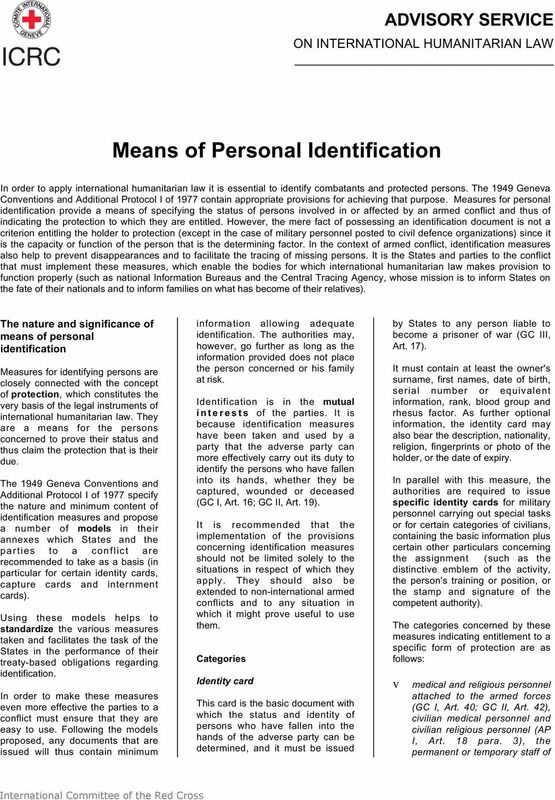 Download "Means of Personal Identification"
6 Front Front Remarks. This form should be made out in two or three languages, particularly in the prisoner's own language and in that of the Detaining Power. Actual size: 15 by 10.5 centimetres. 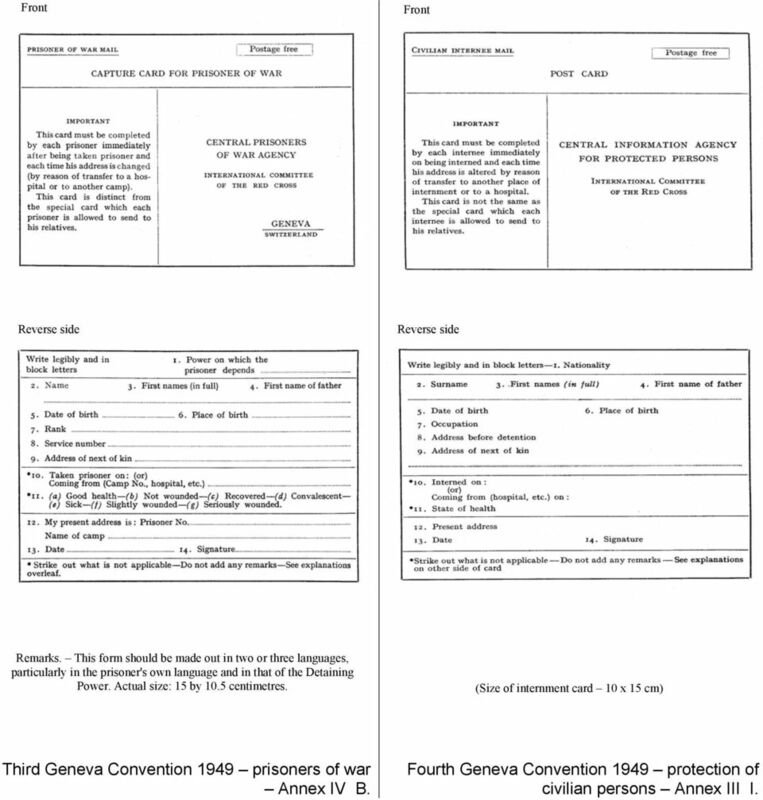 (Size of internment card 10 x 15 cm) Third Geneva Convention 1949 prisoners of war Annex IV B. 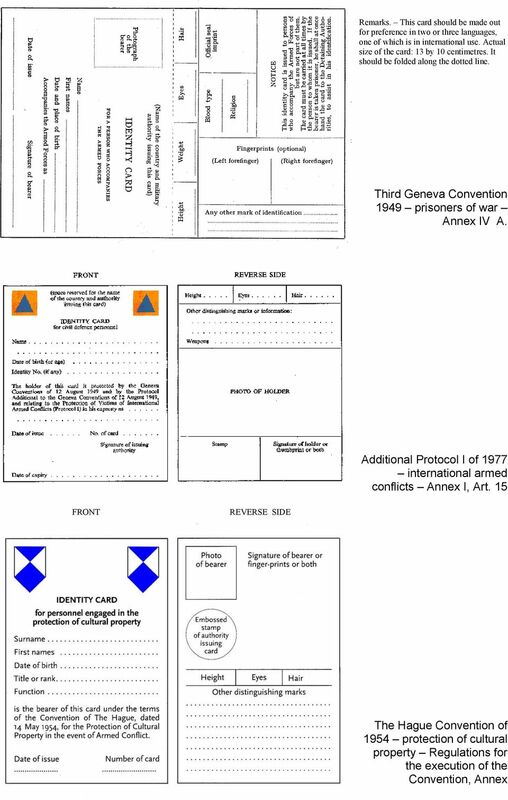 Fourth Geneva Convention 1949 protection of civilian persons Annex III I.
GENEVA CONVENTION I: WOUNDED AND SICK IN THE FIELD I. OBJECTIVES A. 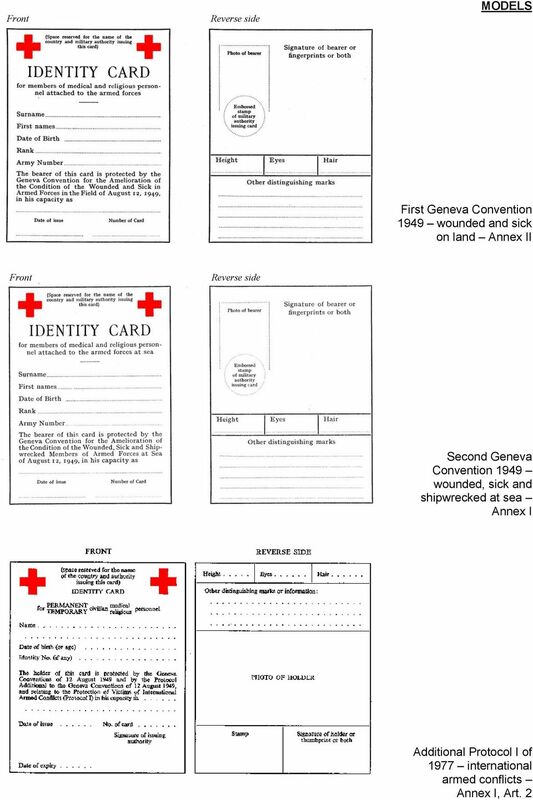 Understand the importance of GC I s protections for the wounded and sick in the field. B. Recognize the beneficiaries of GC I s protections. 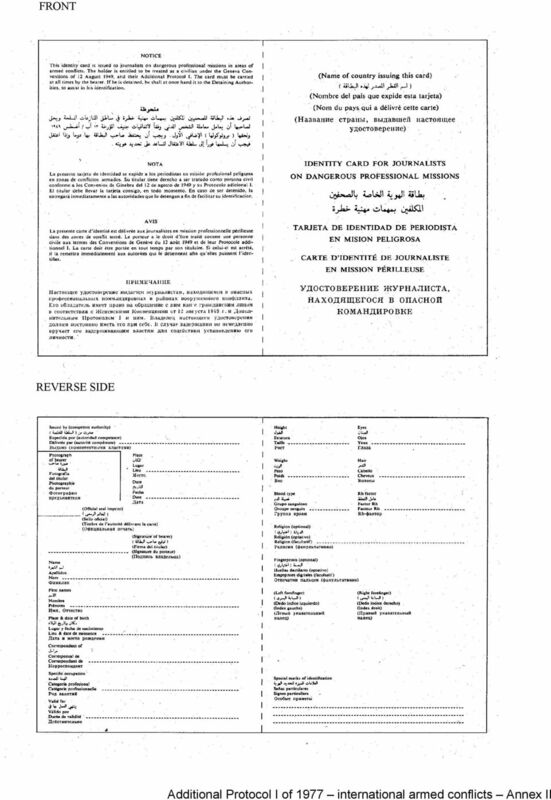 Page 1: ANNEX B MARITIME AND PORT AUTHORITY OF SINGAPORE Merchant Shipping Act (Chapter 179) Merchant Shipping (Training, Certification and Manning) Regulations CERTIFICATE OF COMPETENCY CERTIFICATE NO. 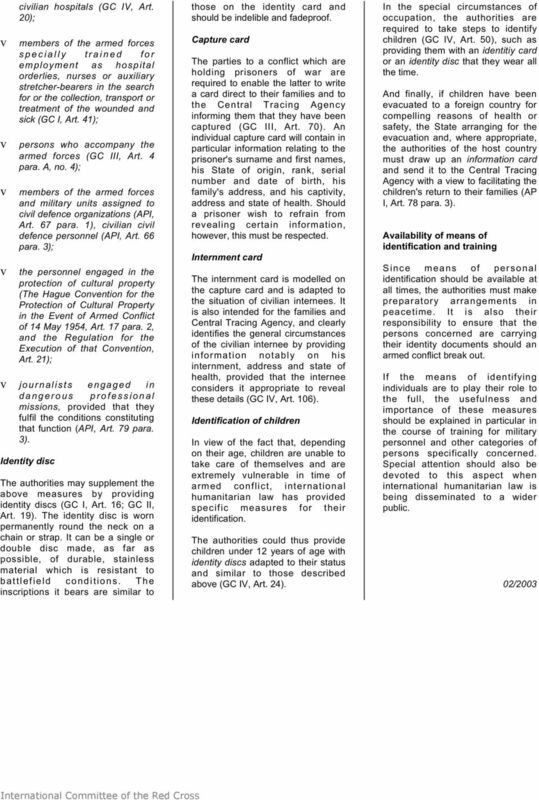 2014 Information on the Cyprus Naturalization Scheme The Cyprus Investment Promotion Agency (CIPA) This document includes the following information: 1. Council of Ministers Decision dated 19.3.2014 2. RAF Form 308 (Revised 04/13) Royal Air Force Provisional Offer of Service Part 1 Airmen/ NCA General Conditions and Terms of Enlistment This form sets out the General Conditions and Terms of your Enlistment.